In addition to a speech by GM CEO Mary Barra, the 2016 CES show will feature nine automakers -- Audi, BMW, Fiat Chrysler, Ford, GM, Hyundai, Mercedes-Benz, Toyota and Volkswagen. General Motors CEO Mary Barra will be a keynote speaker at the 2016 CES electronics trade show in Las Vegas, the Consumer Electronics Association said Thursday. Barra will speak at 1 p.m. PST on Jan. 6 at the Westgate Las Vegas casino and resort, CEA President and CEO Gary Shapiro said. 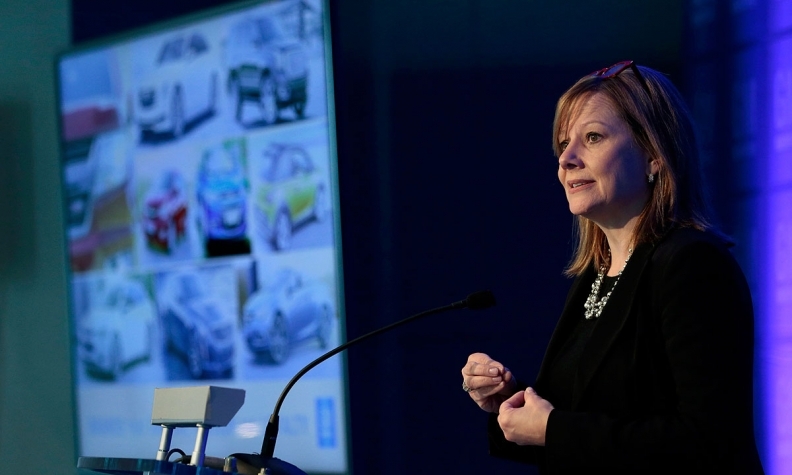 “GM is enhancing the driver experience while keeping cars safe, affordable and consumer friendly, and Mary will discuss how they’re redefining personal mobility,” Shapiro said at a luncheon in Detroit. Barra joins Intel Corp. CEO Brian Krzanich, Samsung Electronics Co. President WP Hong, Netflix Inc. CEO Reed Hastings and YouTube Chief Business Officer Robert Kyncl as keynote speakers. Additional speakers will be announced later. The auto industry has carved out an increasingly larger spot at CES in recent years. Shapiro said the 2016 CES show will feature nine automakers -- Audi, BMW, Fiat Chrysler, Ford, GM, Hyundai, Mercedes-Benz, Toyota and Volkswagen -- and 115 automotive technology companies. Auto exhibits will take up more than 200,000 square feet, an increase of 25 percent from the last show, Shapiro said. Shapiro said 10 Tier 1 suppliers, including Autoliv Inc., Bosch GmbH, Continental AG and Delphi Corp., also will have exhibits. Qualcomm Inc., Nividia Corp. and BlackBerry also will exhibit in the show’s automotive section. Shapiro said “at least one company,” which he did not disclose, will launch an electric concept vehicle at the show. CES will take place Jan. 6-9 and feature 3,600 companies. The 2015 show drew 168,000 people, a number Shapiro said event organizers aim to bring down by changing the convention time frame. “Although the upcoming show will be our largest ever in terms of its footprint, we are taking … steps to make sure that it’s not our largest in terms of attendance because we want to make sure it’s a great experience for people that go,” Shapiro said.